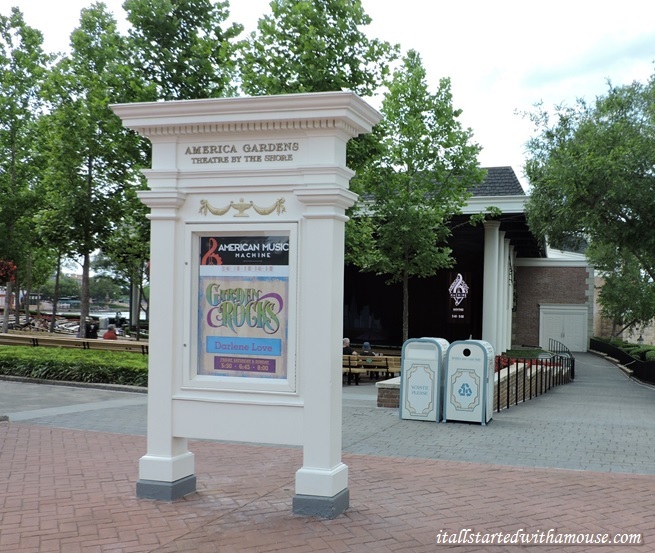 Continuing last year’s tradition, Disney again extended the Flower and Garden Festival from the usual 75 days to 90 days! 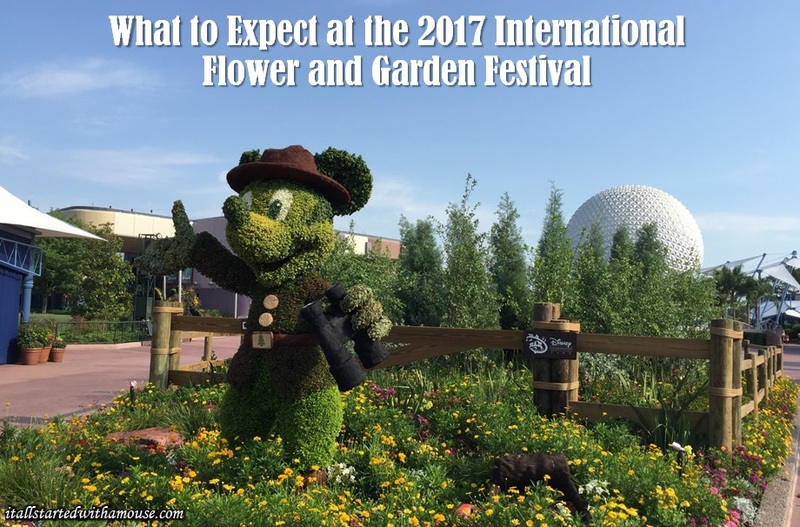 Epcot’s International Flower and Garden Festival features over 100 topiaries on display throughout Future World and World Showcase. There is a live-music concert series called Garden Rocks Concerts held in the evenings on weekends. This year, Disney expanded the concert from 3 nights a week to 4! Disney horticulturists and gardening experts conduct seminars, sharing tips and tricks for you to try at home. Another favorite are the Outdoor Kitchens that are only available during the Flower and Garden Festival. In addition, each weekend at the Festival Center, guests can engage in a complimentary hands-on Gardening Seminar and create a take-home souvenir! Be sure to grab some festival merchandise too while you’re over in the Festival Center! Returning to the front entrance of the park this year are the topiaries of Donald and Daisy along with Huey, Dewey, and Louie. New this year will be Figment, located behind Spaceship Earth, Belle, located at the France Pavilion, and the Three Caballeros, located at the Mexico Pavilion. Certain topiaries will twinkle and glow as night falls!! Shakespeare Garden – Match famous quotes to the flowers located in this lovely garden at the United Kingdom Pavilion. Music Garden Melodies Playground – Located along the Imagination Walkway between Future World and World Showcase, this playground features musical instruments, net climbing, music-themed plants, and hidden car parts. Mickey, Minnie, Donald, Goofy, and Pluto topiaries get in on the fun and even light up after dark! Disney’s Animals, Science and Environment and Conservation Specialists (March 31 – April 2; April 28 – 30): Cast members from Disney’s Animal Kingdom will discuss a variety of different topics over these two special weekends, including how to protect our planet. Showtimes are 5:30 PM, 6:45 PM, and 8:00 PM Friday, Saturday, Sunday, and Monday in the America Gardens Theatre. There are also dining packages available for the concerts. There are 15 different Outdoor Kitchens located throughout the World Showcase, these booths focus on small plates with fresh ingredients for guests to sample. Most items are in the $3 – $8 range and many are available as a Snack Credit on the Disney Dining Plan! Available for breakfast, lunch, and dinner, these dining packages include your meal and guaranteed seating at the Garden Rocks concert that evening at America Gardens Theatre. Dining reservations must start at least two and a half hours before the concert showtime. If you want your choice of all 3 showtimes, pick a breakfast or lunch package. Otherwise, depending on the start of your dinner package, you will have only 1 or 2 showtimes available. Be sure to arrive at least 15 minutes prior to the concert start time. Guests utilizing this special dining package have their own special entrance and seating area. If you are on the Disney Dining Plan, you can use 2 table service credits per person for the Garden Rocks Dining Package (available with the standard Disney Dining Plan and Deluxe Disney Dining Plan). Call (407) WDW-DINE to book. Packages can be booked starting on February 3rd, 2017.